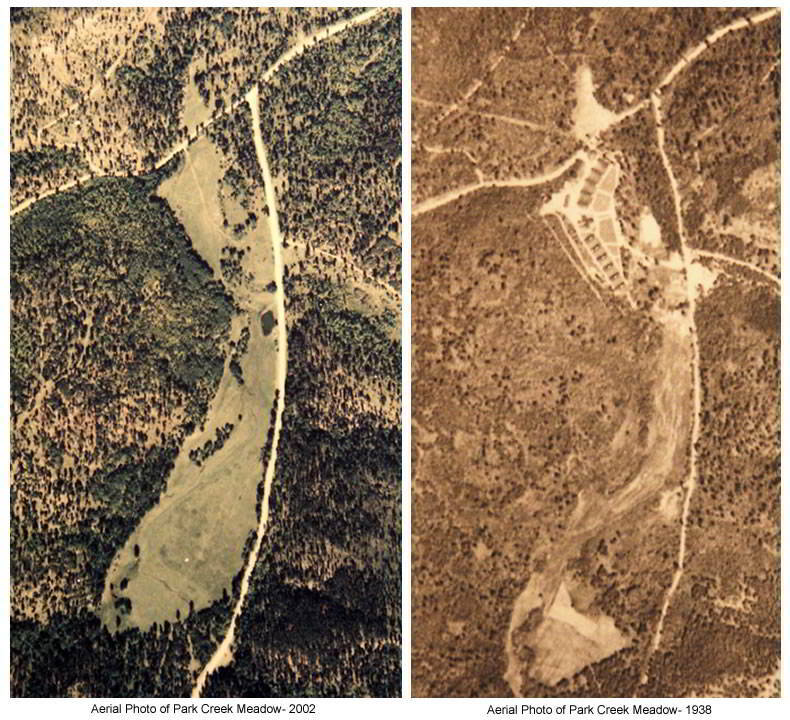 Camp Park Creek, sometimes called Galena, was located about 8 miles southwest of Sturgis on Road 170 just across a ridge southeast of the old mining town of Galena (1935). 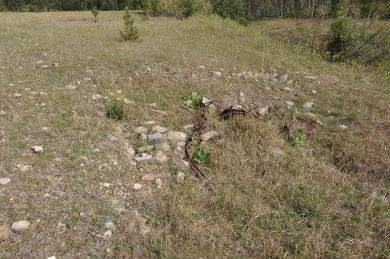 The site, an ideal location for a CCC camp, was a long oval-shaped clearing extending north and south along the west bank of Park Creek. The area was practically level, sloping gently to the north, affording good drainage. From this sheltered and pleasant little valley the pine-clad bluffs rose abruptly along both the east and west sides, giving an immensely scenic effect (1935). The original buildings consisted of 11 barracks, mess-kitchen building, wash room, recreation hall, administration building, hospital, officers' quarters, garage, two latrines, and a pump house. 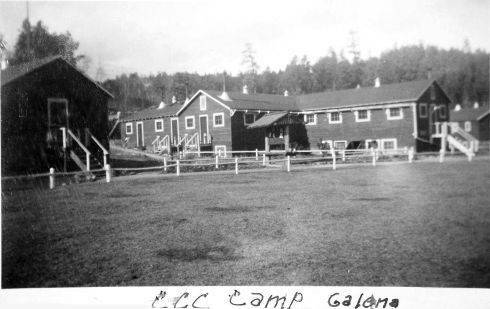 The technical service buildings were in a group on the east side of the creek opposite the camp (1935). A "high line" served the camp, power and light being supplied by the Consolidated Power and Light Company of Deadwood. Excellent water was taken from a spring up the creek and piped to a concrete storage vat with a capacity of about 8,000 gal. From there it was pumped into two 1,880-gal pressure tanks then piped to various buildings (1935). Liquid waste was piped into sewage cesspools. Other waste was taken care of by the incinerator (1935). 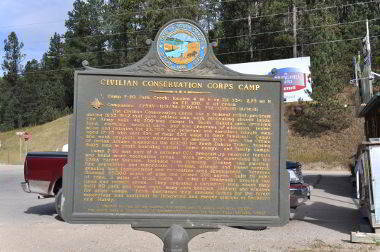 The camp was occupied by CCC from November 1934, until late 1941 or early 1942. 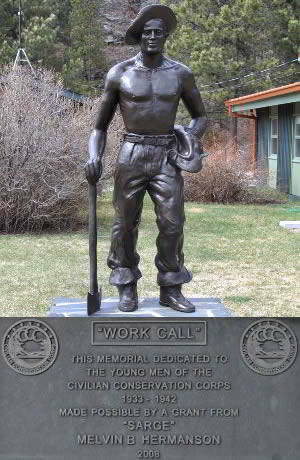 During the winter of 1934-35 tree thinning, roadside cleaning, and burning brush were the major operations on the project. Over 90 park and road signs, many park benches, a number of cabinets of various kinds, a few portable houses, and many other items were built in the carpenter shop (1935). With the coming of summer the work crews were put on road and dam construction. Some fencing was done at the side camp established in May 1935 at Camp F-6, the home camp of Company 792 which spent the summer in a tent camp near Savoy (1936). 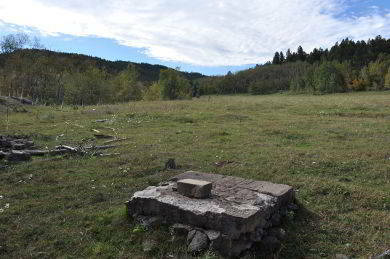 In September of 2015 we revisited Park Creek (Galena) CCC campsite. 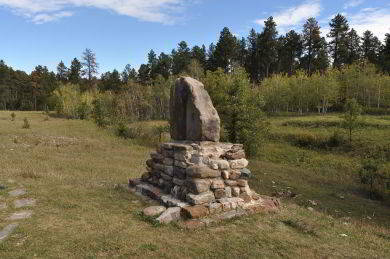 A road side marker is located on Highway 385 about 7 miles south of Deadwood, South Dakota. The sign indicates that the camp was located 4 miles east on FH 534 then 2.75 miles north on FH 180 from the sign. Technically this is correct but traveling to the camp from 385 was a bit of challenge on the day we went. FH 534, also called Galena Road, was being re-graveled. Galena Road would have taken use directly to the camp but was closed at one point. We did navigate our way around to the camp site. A much easier route is to travel Vanocker Canyon Rd south from Sturgis, SD to Galena Rd, turn right (west) and continue to the campsite. 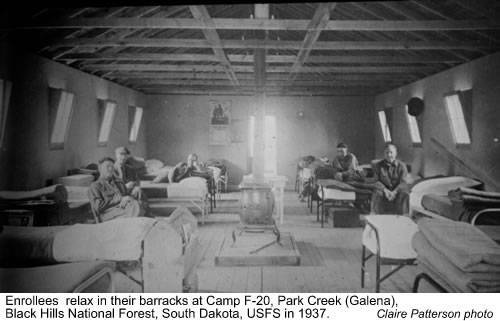 NOTE: There was also a "Camp Galena" in Custer State Park that predated the CCC.